Emna Trabelsi is a 23-year-old English graduate with an ongoing master’s degree in journalism. 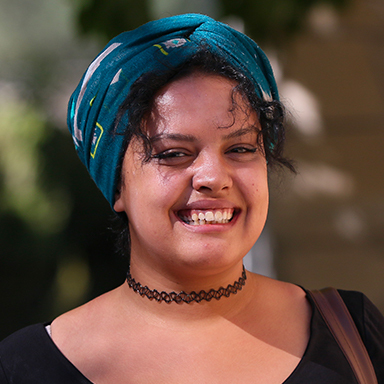 During her university life, she started exploring and discovering the Tunisian civil society by joining several NGO’s and attending various human rights trainings. In 2017, she became a Lazord Fellow and placed at Jamaity to begin a new experience of self-development and evolution.